Thank you for your faithful partnership with Faith For Today. 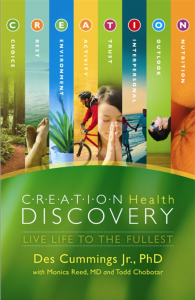 For every donation of $50 or more we will send you a copy of CREATION Health Discovery. CREATION Health Discovery takes the 8 essential principles of CREATION Health and melds them together to form the blueprint for the health we yearn for and the life we are intended to live. Faith for Today will use the information you provide on this form to be in touch with you and to provide updates and marketing. You can change your mind at any time by contacting us at info@faithfortoday.tv. We will treat your information with respect. By clicking the "Donate" button in the form, you agree that we may process your information in accordance with these terms.